Previous Just what the *bleep* is Neo Yokio? 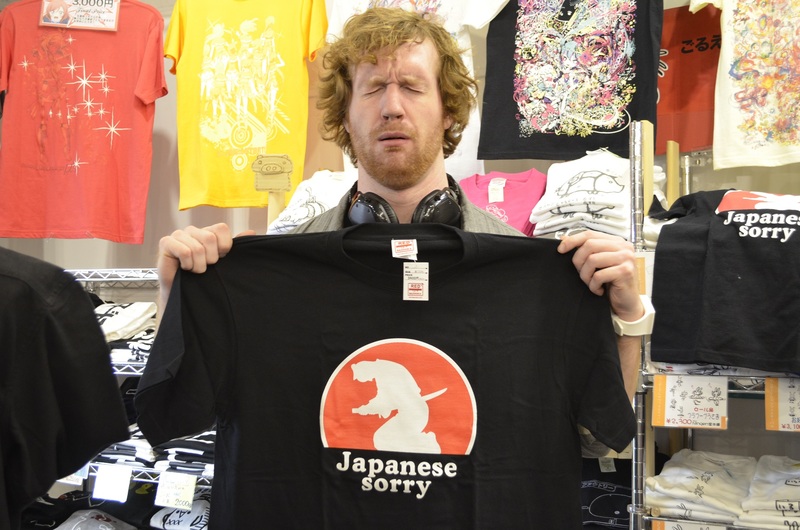 It is only recently that otaku culture has received mainstream acceptance in Japan. 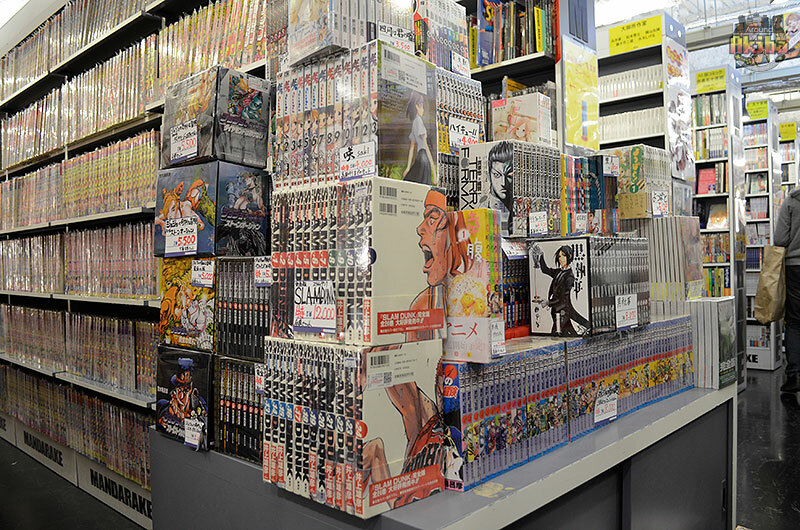 While the Akiba of old may have been associated with perversion and sleaze (owing to the highly sexualized nature of some of otaku culture’s toys and figurines), the Akiba of today is an open, laid-back environment. Virtually synonymous with this laid-back otaku culture in Akiba is the ubiquitous maid café. Maid cafés abound in the electronics district of Akihabara, and have been a staple since the first café opened in 2001. 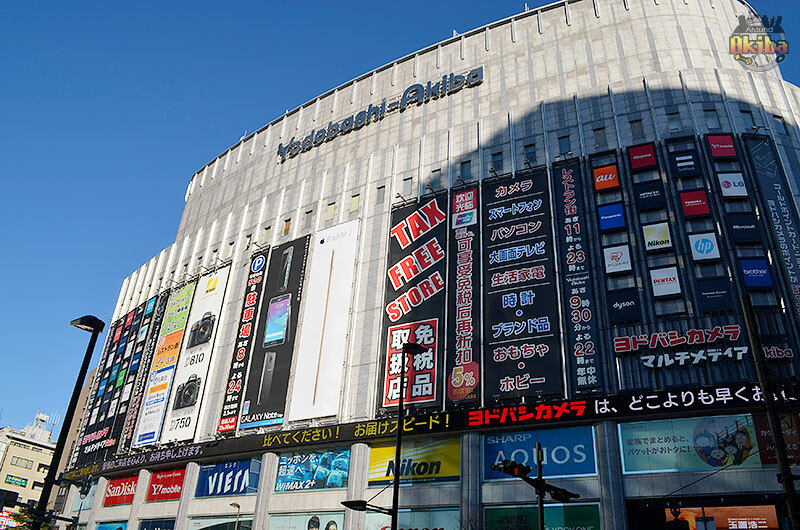 While the electronics district of Akiba is perhaps best known as a mecca for the purchase, sale and trade of all electronic goods under the sun, it also happens to be the epicenter of all otaku culture in Japan. 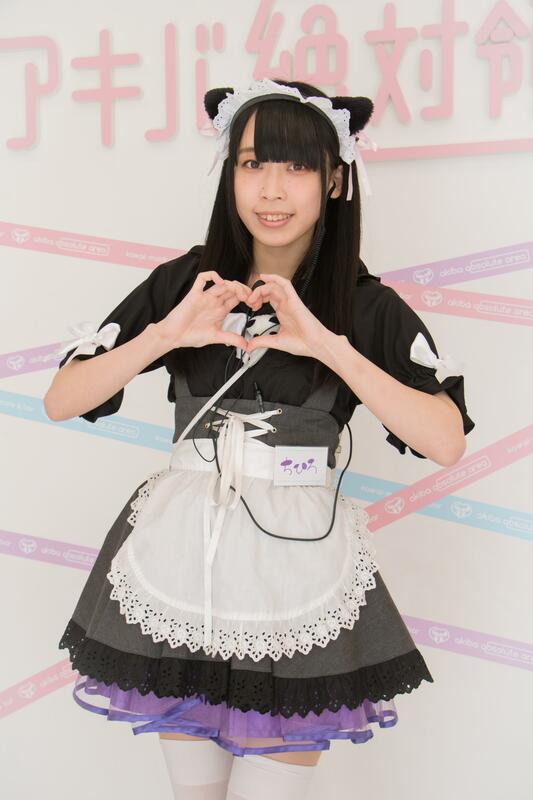 Anime fans from all over the world gather in Akiba’s “electric town” to socialize, often in one of the 44 maid cafés that can be found just in Akiba alone. Add in collaboration cafés and other, less savory massage parlors (where guests can receive massages and…possibly more from “high school girls” in uniforms), and that number becomes closer to 100 total cafés and spaces catering to the consummate otaku. Collaboration cafés (themed spaces serving food, drinks, and souvenirs from a particular show or game) are particularly popular today, having seen tremendous growth over the last three years. 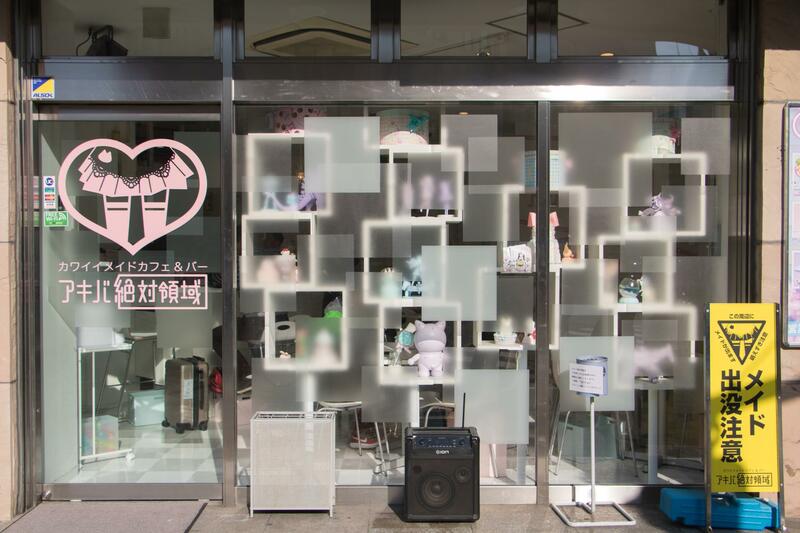 Seen by the Japanese as trendy spots that add a bit of color to life, collaboration cafés come in all shapes and sizes, and range from permanent installations like the Square Enix Café, to 2-week pop-up-shops, as can be seen in Animate stores throughout the country. 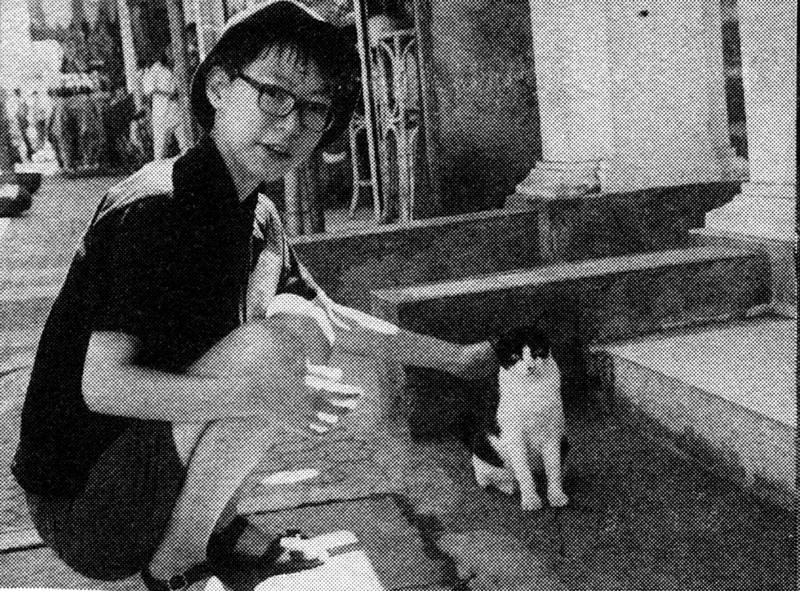 Other notable collaborations include cafés themed around Hello Kitty, Hoshino Carby, and countless others throughout Japan. Returning to maid cafés, however, the concept of a typical maid café involves…well…maids. Most cafés feature young women dressed up as maids, who wait on customers while wearing flowery pink costumes, lacy hairbands, and knee-high socks. Male guests are always addressed as “Master” (Goshujinsama), and female guests as “Princess” (Ohimesama), the idea being to make guests feel as welcome as if they were in their own home. “Okaerinasai, Goshujin-sama!” is the greeting of choice at most maid cafés, a phrase that translates to “Welcome home, master (or mistress).” Such treatment might seem creepy to someone unfamiliar with the conventions of the maid café, but rest assured, it’s a greeting meant to be charming, welcoming, and empowering. 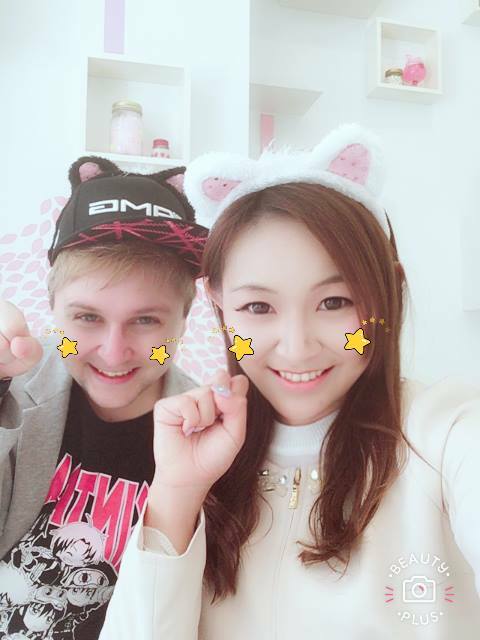 “Okaerinasai, Goshujin-sama!” is such a famous phrase, in fact, that many Japanese men become regulars at maid cafés just to be addressed in this way. The most famous maid cafés are the chains @Homecafé and Maidreaming, which have branches all around Akiba and elsewhere. These chains are mainly popular for the live shows put on by the maids, and also for their ranking system. Each café has a “Maid Leaderboard” of sorts, where patrons can vote for their favorite maids; just like the AKB48 system. 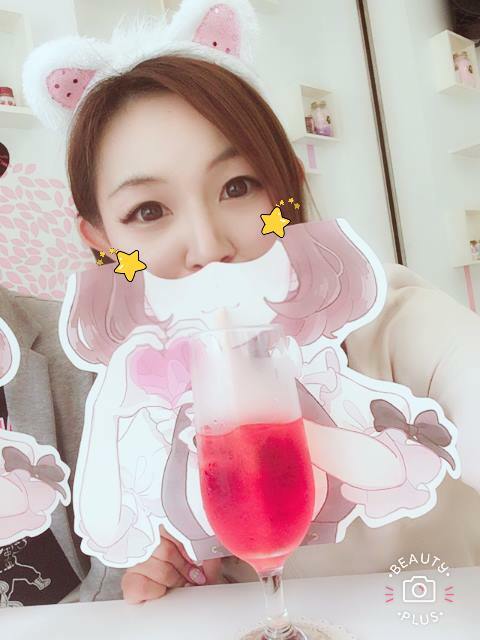 Speaking of maid cafés, Zettai Ryoiki, the “No.1 Kawaii Maid Café” is one of the hottest places in Akiba right now–a must-see for anyone staying in Tokyo! Easily identifiable by its bright yellow sign, which reads “Caution! Watch out for pretty maids!”, Akiba Zettai Ryoiki is a short 5 minute walk from JR Akihabara Station. This café is unique in that it caters to both men and women. In the past, maid cafés have often had a reputation for catering to an exclusively male clientele. Women, either by themselves or in a group, would have stood out in a maid café like a sore thumb in the past. However, times are changing, and it has recently become much more normal for a group of girlfriends to find themselves eating at a maid café, instead of at a more traditional restaurant or café. 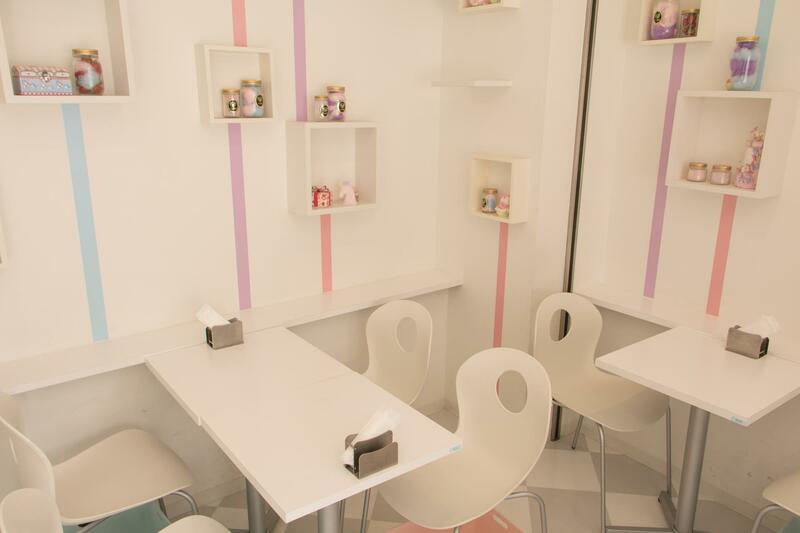 I know I really liked the atmosphere at Akiba Zettai Ryoiki, because they used a lot of pastel colors, and their teacups and utensils were dainty and pretty. 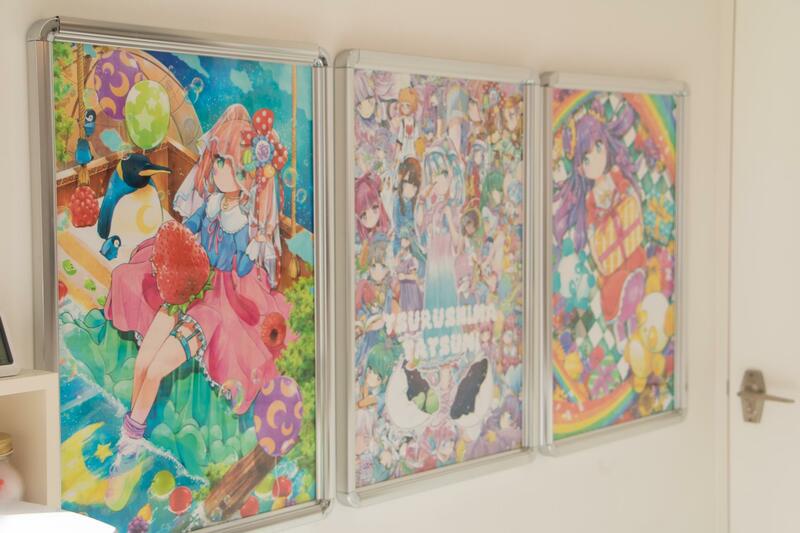 I could easily have imagined myself living in a space like Zettai Ryoiki, so I’m sure A LOT of girls will love this café’s atmosphere just as I did. 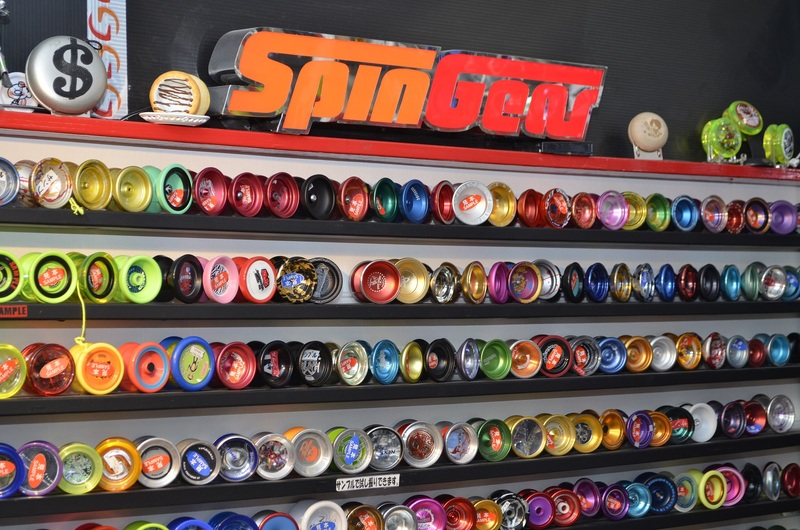 Don’t you just want to share this with EVERYONE on Instagram?! Not only was the atmosphere of the café pretty and cute, but the food and drink menu was also unique. I’ve never seen such a fun selection of sodas in my life, and I’ve been to over 100 maid cafés! Speaking of the meals and the drink menu, everything here is just too photogenic! Instagrammers beware: drinks and food here are presented so well you’ll just HAVE TO TAKE A SHOT! No wonder this place is so popular among young Japanese girls chasing those sweet, sweet Instagram likes! Just one photo from Zettai Ryoiki is absolutely guaranteed to rake in the likes and shares! 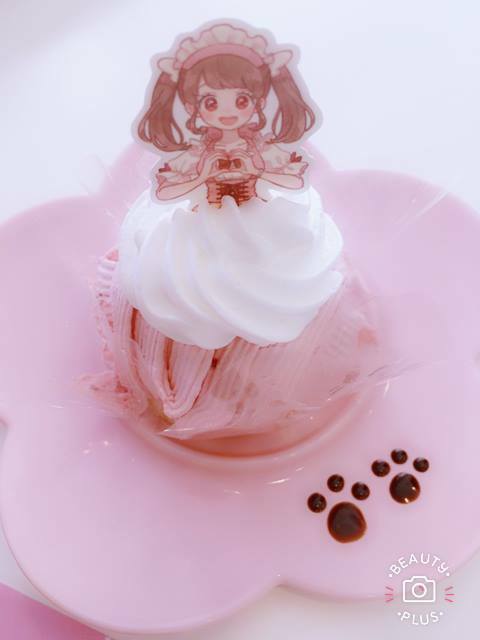 After our fun soda, we also tried the Zettai Ryoiki Special Strawberry Cake, which is also a popular dish! It was a very fancy, nicely presented cake with chocolate syrup paw-print garnishes on the plate. The cake itself was absolutely delicious, but the real fun of this cake is that it is not your everyday chiffon cake! The multiple layers of cream and chiffon cake are meant to represent the layers of a maid’s dress, and once you finish the cake there is a surprise at the end!!! This dish was both fun and interactive, so I recommend that you order one for yourself :D. Just for reference: a drink and a cake for two people will set you back about $30 USD. Also, bear in mind that some maid cafés with live concerts charge about $6 USD per hour as a seating charge. So what do the words “Zettai Ryoiki” actually mean? The phrase refers to a place on a woman’s thigh; specifically the exposed area between her skirt and her knee-high socks. The word first appeared as slang on the otaku board 2chan, but the word has spread all around Japan and has actually become an official classification of fetish. However, the majority of Japanese girls (like myself) seem to think that it’s cute and fashionable to show off their “Zettai Ryoiki.” “Zettai Ryoiki” also features prominently in the media, with popular idol groups AKB48 and Nogizaka46 regularly wearing this fashion style. The experience at Zettai Ryoiki Maid Café was just AWSOME! Male and female guests alike are sure to enjoy a meal here. 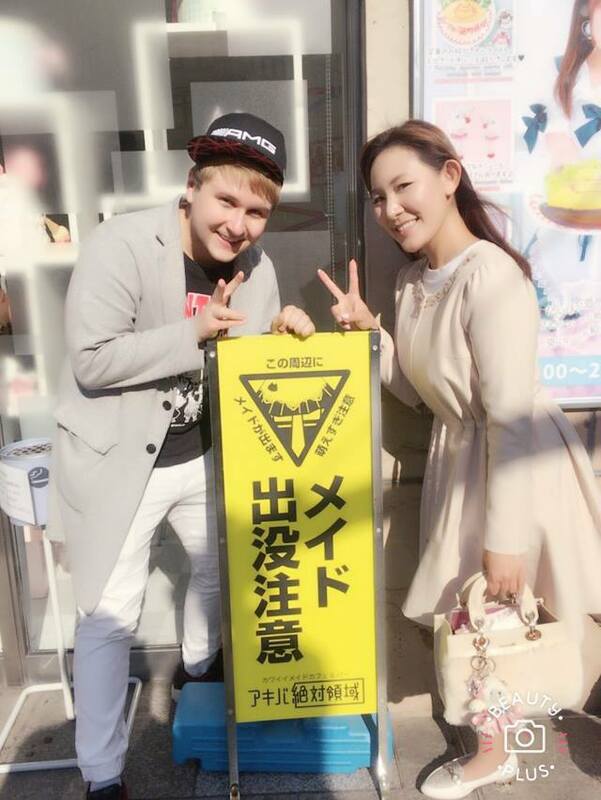 If you are considering visiting the “No.1 Kawaii Maid Café” Zettai Ryoiki in Akiba, don’t hesitate! Go right away! Regular guests can sign up for a Zettai Ryoiki “Nyan” point card, and earn points every time they stop by for a sweet treat! I know I’ll be going back very soon!